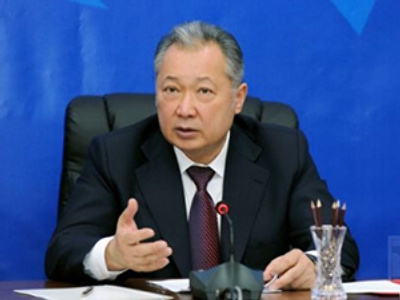 Maksim Bakiyev is the second son of the former Kyrgyz President Kurmanbek Bakiyev. He was born in 1977. He has a legal background, having graduated from the joint Kyrgyz-Russian Slavic University. He received additional education on legal issues in Britain and the US. When he was still a student, Maksim started working in a consultation firm, specializing in investment into emerging markets in Central Asia and the Middle East. In 2005, his father led public unrest in Kyrgyzstan following a parliament election. The so-called “Tulip Revolution” resulted in ousting of President Askar Akayev, while Kurmanbek Bakiyev became acting leader of the country and was later elected president. After his father’s success Maksim’s business grew rapidly. Together with his partner, Valeriy Belokon, Maksim established a Latvia-based investment company, Maval Aktivi, which has been involved in several industries including mining, oil and gas production, banking, mass media and real estate in Kazakhstan, Russia, Latvia, Ukraine, Latin America and Africa. 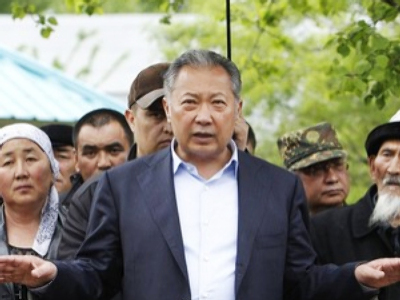 The opposition accuses Maksim, along with several other relatives of Kurmanbek Bakiyev, of hugely profiting from corruption in the privatization of Kyrgyz state property. Maksim was widely believed to be the richest man in Kyrgyzstan. He was also said to have considerable power despite holding no office. It was rumored that every big business project in Kyrgyzstan needed Maksim Bakiyev’s personal approval. In 2009, a re-elected Kurmanbek Bakiyev launched an overhaul of the government. Maksim headed a newly-created Central Agency for Development, Investment and Innovation. The president also sponsored a change in the line of succession of presidential power in case of emergency, enabling a council of several officials to choose an acting president arbitrarily. The opposition saw the move as preparation of a transition of power to Maksim Bakiyev. New accusations against Maksim were voiced after Kyrgyzstan received a $300 million loan from Russia. The Agency he headed was to allocate the money for the benefit of the country, which suffered greatly from the international financial crisis. However Maksim embezzled part of the sum and distributed the rest among his friends and business partners, the opposition claims. In March 2010, the social tension spurred into civil unrest. Protestors demanded a new election and the prosecution of many officials, including Maksim Bakiyev, who had to seek refuge from the violent crowds. Maksim’s mansion in the capital, Bishkek, was one of the first to be looted and pillaged, with witnesses reporting on the outrageous luxury of its interior. In April, the ousted Kurmanbek Bakiyev fled the country, as did Maksim. Maksim apparently stayed in Latvia for some time. Meanwhile, the temporary government of Kyrgyzstan issued an international arrest warrant for him, charging him with fraud. 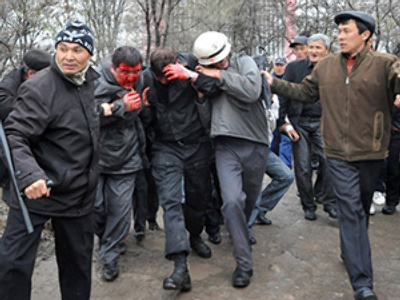 In June, violent ethnic conflict spurred in the southern Kyrgyz city of Osh. The provisional government claimed that Maksim Bakiyev had financially backed the riot. Maksim Bakiyev is married to Aijane Kenanbayeva, daughter of the former mayor of Bishkek. They have a daughter.